Combine all the spices into a bowl until (leaving out all the olive oil). In a ziploc bag add your protein (chicken) and toss to coat. Marinade for at least 2 hours but overnight if possible. Preheat your grill and cook over indirect heat until the internal temperature reaches 160 to 165 degree. 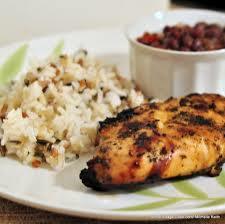 Cooking time will vary based on the size of your protein. 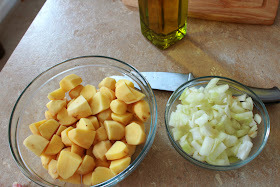 Heat a little olive oil in a large frying pan and add the beef, onion, spring onions, garlic, peppers, and thyme. Fry the meat until it turns brown and the moisture has evaporated. Add the curry, salt, and pepper, and constantly stir. A crust will form on the bottom of the pan. Stir and scrap the bottom of the pan to incorporate the brown goodness on the bottom of the pan. Add the breadcrumbs and more water if necessary. Cover and let everything simmer for about 15 minutes. Stir the mix occasionally. Mix together all ingredients except water and oil. Do not use the water at all. Put a small amount of oil in the pan for frying. 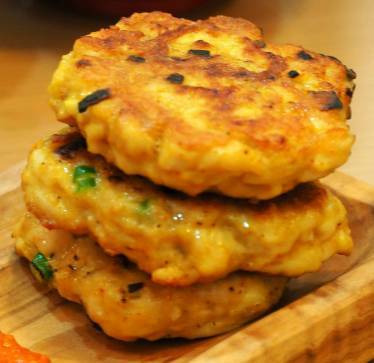 Shape the meat mixture into patties and fry. Strip the chicken of all fat, but don’t remove the skin (I removed the fat under the skin without cutting it off completely). Cook the plantain in boiling water for 10-15 minutes or until very tender. Drain, and then mash in a large bowl. Cool for a few minutes before adding the remaining ingredients. Portion into 4 patties (at this point, as with pretty much any chicken burger, I like to let them sit in the fridge for 30 minutes or so, in order for them to firm up and for the flavors to mingle). Some suggested adding more garlic -either chopped or powder. Someone said too sweet, so cut the sugar. Apparently from Cooking LIght Magazine. 1. Combine first 10 ingredients in a large bowl; add chicken, tossing to coat. Heat a grill pan over medium-high heat. Coat pan with cooking spray. Add chicken to pan; cook 4 minutes. Turn chicken over; cook 6 minutes or until done. Combine all but chicken to make a paste or marinade. 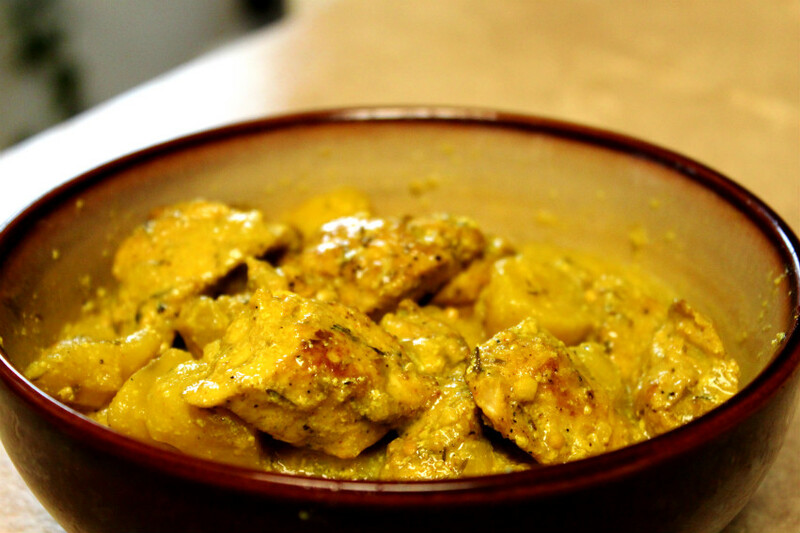 Place chicken on a plate or in a Tupperware marinade container and rub in marinade. Refrigerate covered at least 2 hours or overnight. Broil 3-4 minutes per side. No instructions provided 🙁 Google it. Just about everybody has a Weber kettle charcoal grill in their back yard. You can smoke some pretty good ribs on these things. This is one of my favorite barbecue recipes because I can use mesquite wood and Lee will not allow me to put mesquite in his expensive Lang Smoker because of the residue it leaves on the inside surfaces. Anyway… here’s how to set up your charcoal grill so that you are “offset smoking” and not grilling… I simply start it up by making two piles of charcoal briquettes on opposite sides of the grill (away from the center). Make sure your vents on the bottom of the grill are open and not clogged with ashes. I then squirt my lighter fluid on the briquettes and light them. When you are ready to start smoking, place your grate on the grill so that the holes near the handles are over your charcoal piles. This way, you can add charcoal as needed to maintain your heat. Some newer models have hinged grates for this purpose. Now all you do is place your meat in the center of the grate – away from the charcoal piles. When I smoke ribs, I use a rib rack on top of the grate. Weber makes a good rib rack and you can get one at any good store that sells Weber grills. Place your trimmed pieces anywhere not directly over the coals. Throw some soaked mesquite chips directly on the charcoal and close the lid (don’t overdo the mesquite chips – mesquite imparts a strong smoke taste so a little goes a long way). Feel free to used soaked hickory, pecan, oak, apple, or any other “flavor” of wood chips that suits your taste buds. This is another way to personalize your barbeque recipes… there are all different types of woods and wood combinations that you can use. There are even unique and exotic woods like grapevine. I personally like mesquite as I feel it is the only smoke flavor that will not get covered up by your sauce. If done right, it’s not overpowering, but you can still taste that delicious smoke flavor. Open the vents on the lid all the way and insert a thermometer through one of the vent holes. This is important! I use one of those confection/deep fry style thermometers with the clip and long stem on it. It’s important to measure the temperature as close to the meat as possible. Smoke your ribs at 230 – 240 deg F. If the temperature is too high (around 300 deg) for the first 30 minutes, don’t worry about it too much. If it gets any hotter than 300 deg then crack the lid a little to let some heat escape. When the temperature gets too low, just open the lid and toss in a few new briquettes and/or soaked wood chips. Try to stay “ahead of the game” as far as heat is concerned because it’s easier to cool down a hot smoker than it is to get it back up to temperature if your fire goes out. After one hour in the foil, take your ribs out of the foil and place back on the grill. You’ll know your ribs are getting done when the meat is pulling away from the bone – this is a sure sign that your ribs are getting done. Maybe gently tug on one of the bones to see if it is “loose”. Also… if you pick up one end of a slab with a pair of tongs and your slab bends down 90°, then that is another sign that your ribs are getting done. Barbecue recipes are not an exact science… you have to use some common sense. If it’s cold outside, or humid, or dry your times and temps may vary. Just keep an eye on things and increase or decrease times accordingly. 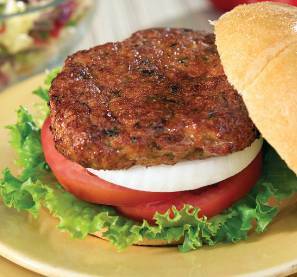 Here you will find all kinds of recipes for cooking and grilling out. Plus you’ll find all kinds of other great related recipes like Banana Pudding , Cole Slaw and etc. 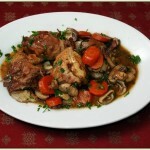 On this page you’ll find all the information you need for a great cooking out experience. Aluminum foil should never come in contact acidic fruits or vegetables such as lemons , oranges , tomatoes , grapefruits etc. One real mistake a lot of cooks make is to cover tomato paste covered meat loaf with aluminum foil and then they bake it in the oven. 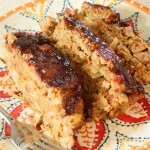 The top of the meat loaf comes out looking burned and is not as tasty as it should be. Try putting several toothpicks into the top of your meatloaf before wrapping it with aluminum foil and your meatloaf will come out of the oven looking pretty and will be very tasty. Of course you should use wooden toothpicks in case you’re wondering. 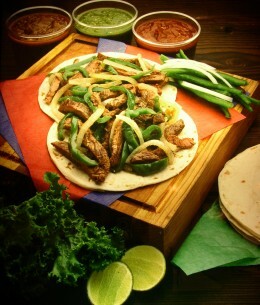 Carne Asada is a Mexican recipe for marinated, grilled beef serves up in tortillas. This is not your Father’s Taco. 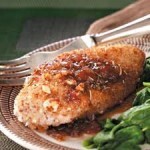 This is a flavorful and delicious meal that is great for any occasion. Mix juices, garlic, onion, tequila, Tabasco and pepper in a bowl. Add meat and marinate both sides. Cover and refrigerate, turning meat over occasionally. Let sit for 4 hours or more. Preheat grill. Place a few drops of water on each tortilla, stack and wrap in aluminum foil. Place on grill. Remove meat from marinade, reserving marinade. Place on grill. Turn steak and tortillas once during cooking. Brush steak with remaining marinade. Cook to your liking (12 to 15 minutes for medium-rare). Cut into thin slices. Place a few slices of steak on each tortilla with salsa and guacamole and serve. These baby back ribs might not be bathed in smoke, but they do get bathed in a lot of flavor. This slow cooked recipe will give you a great set of ribs even if you can’t make it outdoors. Trim excess fat from ribs. Combine dry ingredients and rub over the surface of the ribs. Place ribs in slow cooker or Crock-Pot standing on their edge with the meaty side out. Cook for about 8 hours. 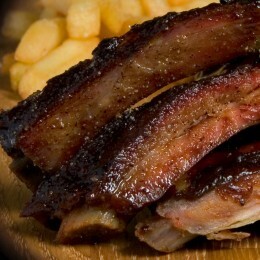 Remove ribs from slow cooker and brush with barbecue sauce. 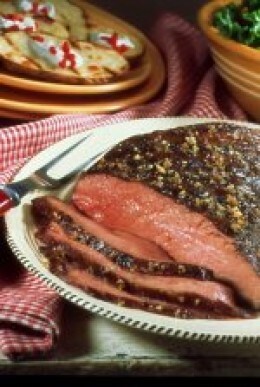 Tri-Tip roasts might be hard to find in some places but this is a great piece of meat with fantastic texture and flavor. Grilled low and slow, you’ll get a delicious meal. Lightly oil the cooking grate on your grill. Preheat grill and prepare for indirect grilling. Combine garlic powder, onion powder, pepper and salt. Rub it over the surface of the tri-tip roast. Place tri-tip on grill, fat side up. You can place a drip pan under it to catch the drips which will make a great gravy later. With the grill on low cook for about 4 hours or until the internal temperature reaches 165 degrees. This Jerk Chicken is marinated to add extra flavor, unlike other recipes that simply call for a jerk rub. Combine all ingredients except the chicken and pour into a shallow baking dish or zip lock plastic bag. Add chicken and turn to coat. Cover and place in refrigerator to marinate in jerk seasoning for between 4 hours to overnight. Preheat grill. 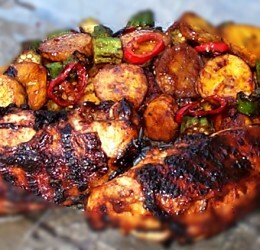 Remove chicken from jerk marinade and pour marinade into a saucepan. Bring to a boil. Place chicken on grill cooking approximately 7 to 10 minutes per side (or until done), basting periodically with remaining jerk marinade. 1. Wash and chop the chicken into small cubes. 2. Season the chicken with the above ingredients, apart from the potatoes, water, and coconut milk. Refrigerate chicken for about half an hour so it can be marinated with the seasonings. 3. In a large pot or frying pan, heat oil over medium-high.Working in two batches (if needed), brown chicken about 3-4 minutes per side. Transfer to a plate and set aside. 4. Reduce heat to medium. Add the other half of onion a little bit of curry, salt,thyme, 1/2 cup of water and cook, stirring occasionally, until onion has softened. 5. 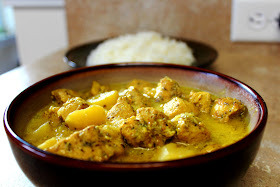 Add the potatoes, cup of coconut milk, 1/2 cup water, and chicken with its accumulated juices. Bring to a boil. Reduce to a simmer, cover partially, and cook until the sauce has a thick consistency. Remove from heat and serve with rice! This time I added extra water so the sauce won’t be as thick and it still tasted quite delicious. Here’s a pic of that. Don’t be afraid to taste the sauce once in a while to see if it needs anymore spices. Some people like less and some like more. It’s all about your preference. I hope you guys enjoyed this recipe and hope it was easy to follow. Bon Appetit! • Clean and wash chicken thoroughly. • Cut each piece of meat into bite sized pieces. • Peel and dice potatoes and add to the chicken. • Chop pepper, onion and garlic and add to the chicken. 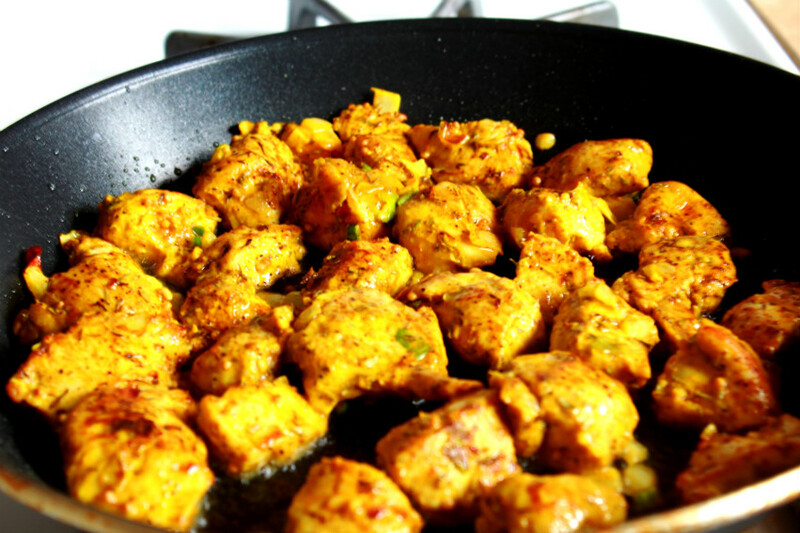 • Add chicken seasoning, all purpose seasoning, salt, black pepper and 3 ½ tbs of the curry powder to the chicken and stir with spoon. • Place oil in pot (do not use a frying pan or sauce pan) and add the remainder of the curry powder in the oil to heat. 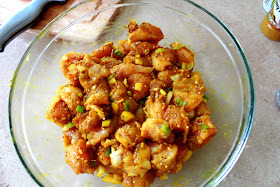 • When oil is hot add the seasoned chicken, stir occasionally for a few minutes. • Carefully add the 2 cups of boiling water to the pot and let the chicken simmer on low flame for the next hour, remember to stir occasionally. 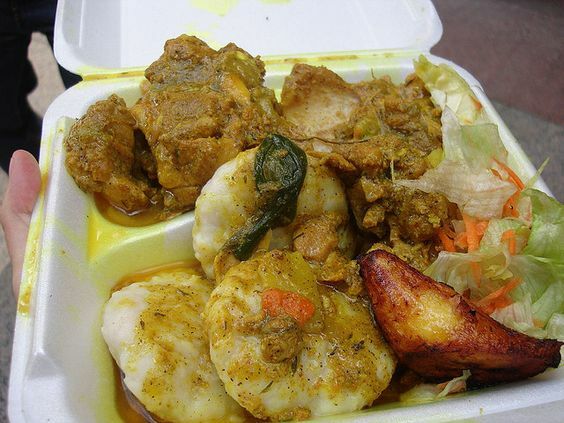 You can now serve your Jamaican style curried chicken with some steamed rice, dumplings or any of your preferred side dishes. Combine the chicken, carrots, bay leaf, and a pinch of salt in a medium saucepan. Add 3 cups broth and bring to a boil; immediately reduce the heat to low, cover, and cook until the chicken is just firm, about 20 minutes. Meanwhile, heat the butter in another saucepan over medium-low heat. Add the onion, sugar, and 1 teaspoon of salt. Cook until the onion is soft, about 5 minutes. 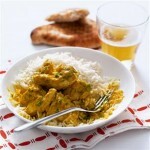 Add the curry powder and cook for 1 minute. Add the rice and the remaining 3 cups of broth. 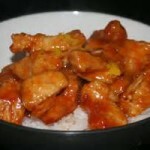 Increase the heat to medium, cover, and simmer until the rice is cooked, about 15 to 20 minutes. There will still be liquid remaining. Remove the chicken from its broth, and shred the meat into pieces. Remove the bay leaf from the broth. Return the shredded chicken to the same broth. Puree the rice mixture with an immersion blender until smooth (or use a regular blender, then return to the pan). Pour in the shredded chicken and broth, stirring gently to combine; bring to a simmer. 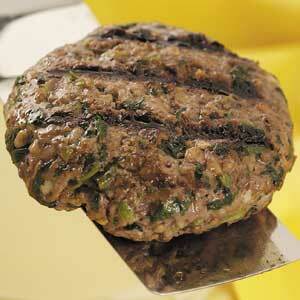 Toss in the chopped herbs and serve immediately.